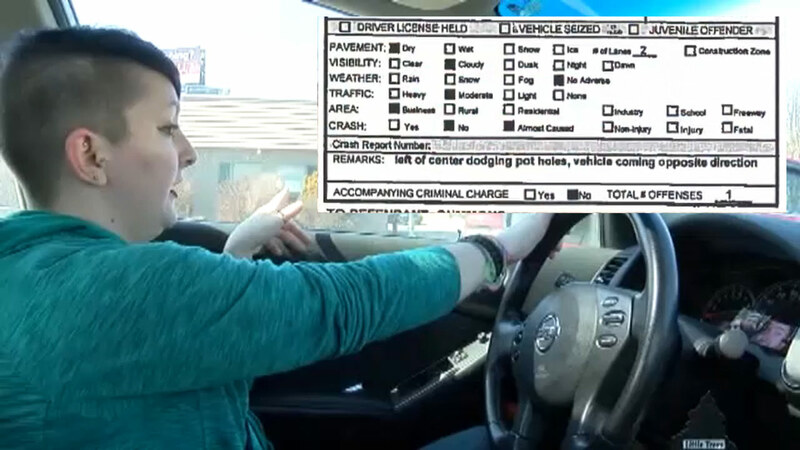 Ohio driver ticketed for dodging potholes. Matt O'Donnell reports during Action News Mornings on March 13, 2019. An Ohio woman who was swerving to avoid potholes must now pay a traffic ticket for her reckless driving. Alana Corns shared an image of the citation on social media. The trooper said Corns illegally crossed a traffic line in Canton, WOIO-TV reports. "So I have to take responsibility for that, but I most so wanted to post it just to get awareness cause the roads are horrible," Corns said. A spokesperson for the city of Canton said crews do their best to respond as quickly as possible with special consideration given to larger potholes and problems on major roads. Corns has the option to fight the ticket in court later this month.